The project takes a new step this year by proposing to the participants a complete session with orchestra in January 2019. In collaboration with the Paris National Conservatory of Music, the laureates will be attributed a movement of one of Haydns concertos each. They will be conducted by Nicolas Chalvin and Gautier Capuçon. This harmonious blend of masterclasses, orchestral experience and professional workshops allows each of the students of the promotion to develop at his own rhythm during the season through an experience as musically intense as humanly enriching. 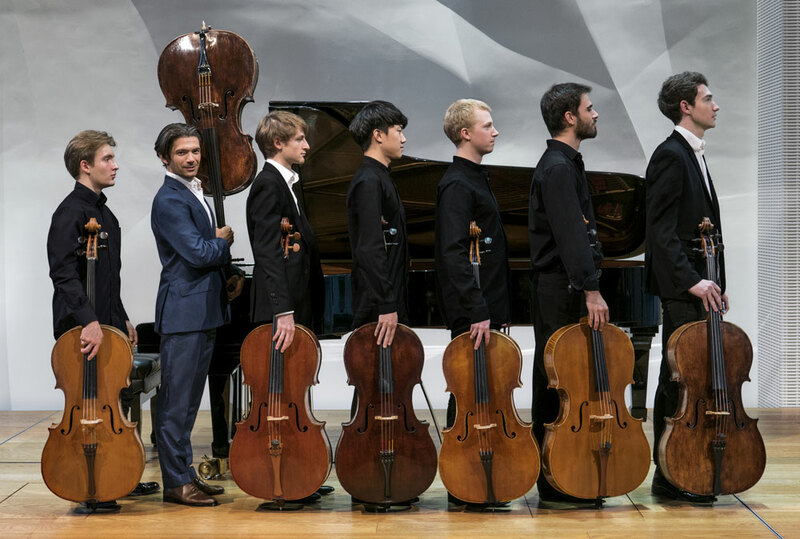 Every year, for now three years in a row, the Classe d'Excellence de Violoncelle is also the opportunity of a commission for 7 cellos. For this fifth edition, the Fondation Louis Vuitton has commissioned the composer Krzysztof Penderecki. The piece will be premiered on the last concert of the season, Saturday June 29th, 2019. 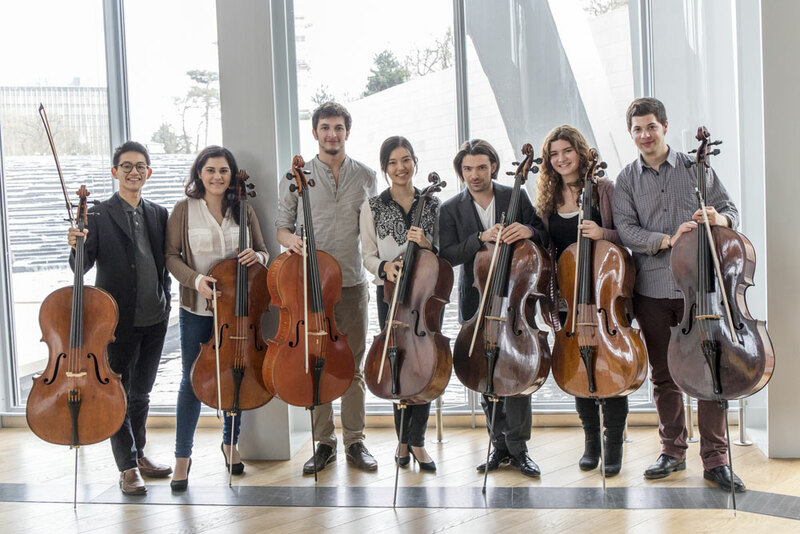 The Classe d'Excellence de Violoncelle, created and led by Gautier Capuçon, is geared towards six young talented cellists from all over the world selected on the basis of an application dossier and live audition. 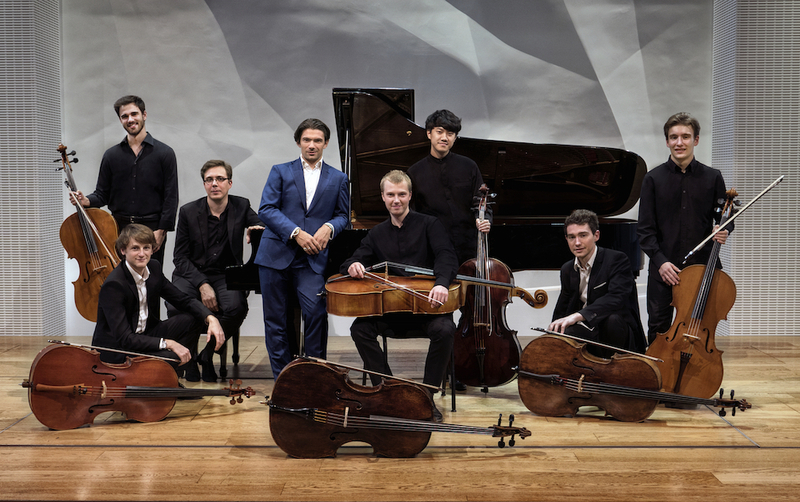 For its fourth season, the Classe d'Excellence de Violoncelle returns to the Fondation auditorium from November 2017 and until June 2018. The Classe d'Excellence de Violoncelle, made up of a series of artistic and professional coaching sessions, offers participants a comprehensive training opportunity intended to complement participants' formal musical education, under the guidance of Gautier Capuçon. Throughout the season, the Classe d'Excellence de Violoncelle also hosts a number of outside speakers who are invited to present ancillary aspects of a musician's life and career, such as personal management, work structure, life on the road, press relations, stress management, overall well-being and physical issues. This harmonious blend of masterclasses and professional workshops allows each of the students of the promotion to develop at his own rhythm during the season through an experience as musically intense as humanly enriching. As part of the Fondation Louis Vuitton's mission to promote artistic creation in all its different forms and media, this unique project of residence open to the public in a museum stands as a "musical lab". The Classe d'Excellence de Violoncelle aims to expose its participants to a wide array of genres; to encourage dialogue and encounters with guest speakers from different cultures and nationalities; and to bring awareness to a wide range of different styles and projects. In an educational approach, the project is closely followed by medici.tv, which broadcast, sometimes live, the masterclasses and concerts of the season. 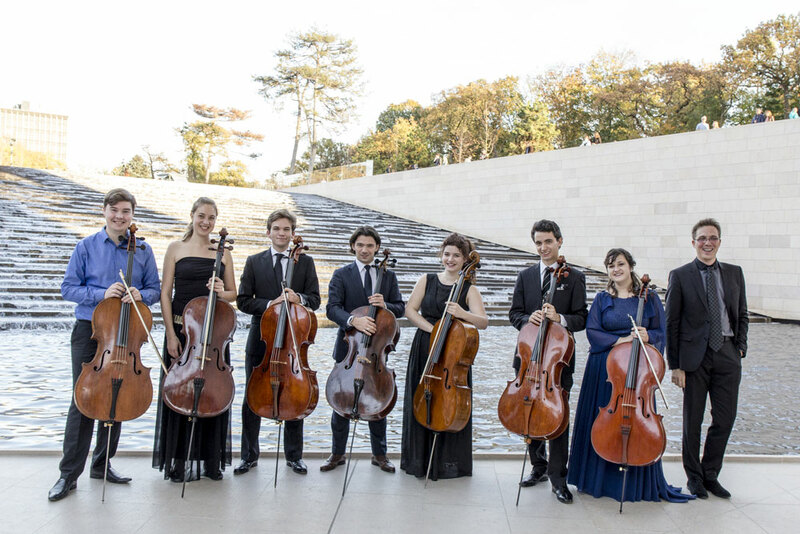 For this fourth edition, the Fondation Louis Vuitton has commissioned Guillaume Connesson to compose a work for 7 cellos. The piece will be premiered on the last concert of the season, June 16th, 2018. 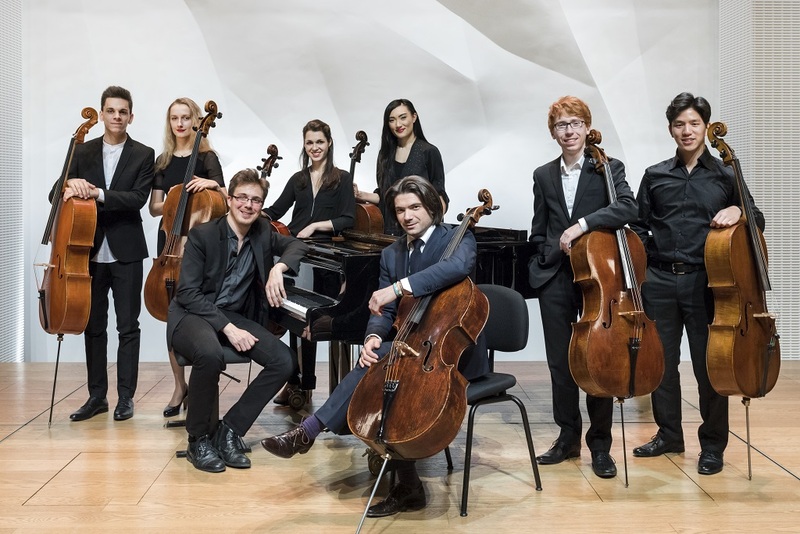 The Classe d'Excellence de Violoncelle (Cello Excellence Class) is geared towards six young talented cellists who auditioned for the class in France and abroad. For its third season, the Classe d'Excellence de Violoncelle comes back to the auditorium from November 2016 to June 2017, for monthly three-day or four-day sessions. Each session features morning master classes that are open to the public, as well as end-of-the-day concerts during which the young cellists, rising stars in music, perform their studied pieces (solo cello performances, sonatas for cello and piano, and concertos accompanied by piano). The first edition took place at the Fondation Louis Vuitton, from December 2014 to June 2015. The class met on a monthly basis at the auditorium for a series of three-day sessions. For the second season, the Classe d'Excellence de Violoncelle comes back to the auditorium from November 2015 until the end of June 2016, for monthly three-day or four-day sessions. The Classe d'Excellence de Violoncelle consists of a series of artistic and professional coaching sessions, offers participants a comprehensive training opportunity intended to complement the participants' formal musical education. 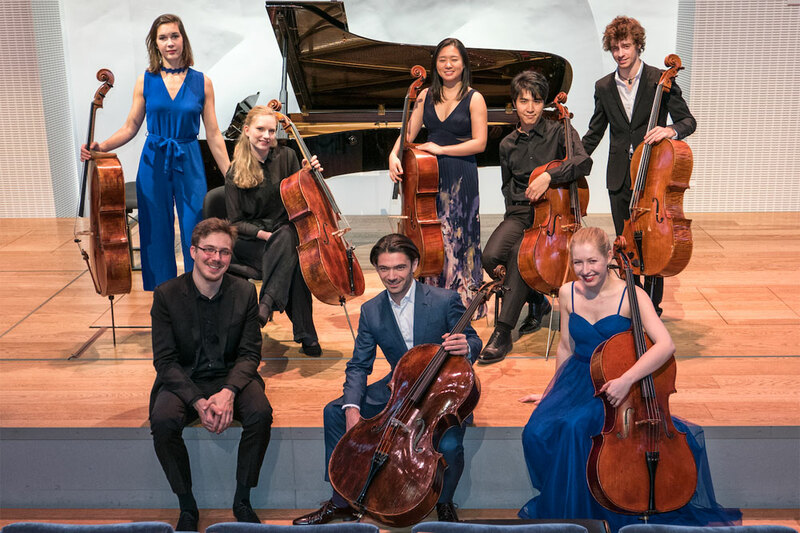 Each session features morning master classes that are open to the public, as well as end-of-the-day concerts during which the young cellists, rising stars in music, perform their studied pieces (solo cello performances, sonatas for cello and piano, and concertos accompanied by piano).